Suggestive of ornamental architectural style of the 17th Century, the Baroque Crown Insert adds a beautiful finishing touch to walls, windows, cabinets, and more. 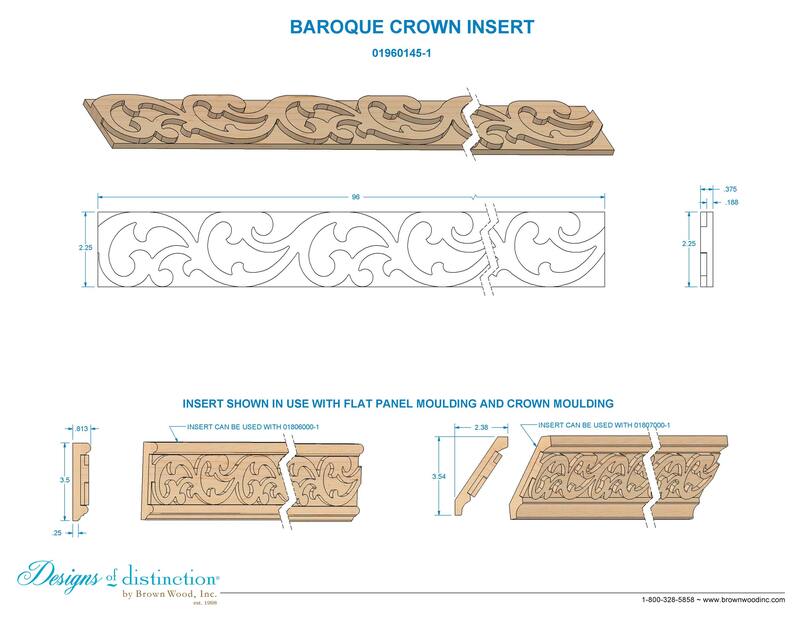 Lavish and grand, the Baroque Crown Insert can be used on it’s own or with our Flat Panel or Create-A-Crown® Moulding. The Baroque Crown Insert is part of our Baroque Collection.